Normally when you think of fish and chips it’s grease-covered paper, overly salted chips, and random deep-fried accompaniments that come to mind. And while the greasy kind of fish and chips will always have a special place in our hearts (and stomachs when we’re hungover), these days we look for healthier options because that’s what grown-ups do. And if we’re honest, the healthy version tastes just as good. When it comes to the healthy options (not to mention freshness), you’d be hard-pressed to beat Sweetlips Fish Bar. 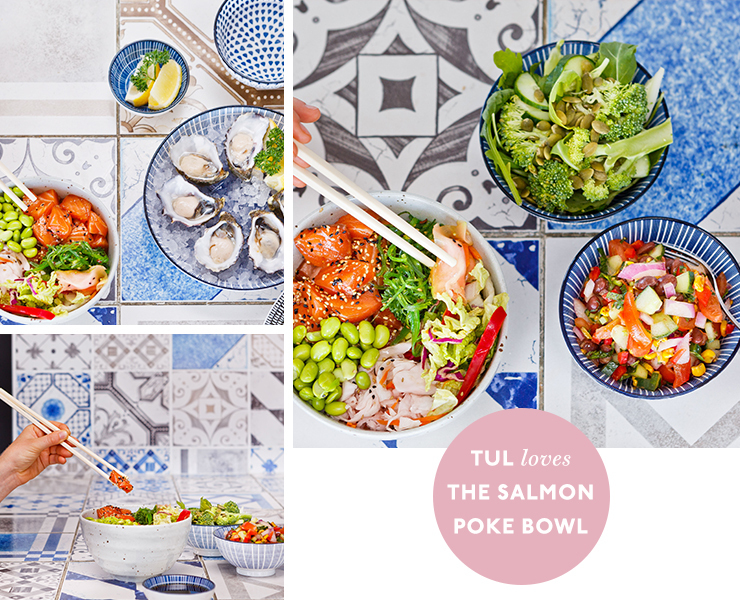 Located in Leederville, Fremantle, Scarborough, and soon to be Melville, Sweetlips’ menu covers all kinds of healthy delights, from grilled lemon and cracked black pepper fish and marinated octopus, to oysters, and salmon pokè bowls. If your diet includes carbohydrates (as all balanced diets should) the fish tacos are the perfect option. The fish is grilled to perfection and served in warm tortillas with Sweetlips’ seasonal slaw, salsa fresca AND salsa verde, plus extra hot sauce should it be required (NB. it’s always required). Then there’s the bao, aka the healthier burger, packed with grilled prawns pickled veggies, slaw, cucumber, char sui, and hot sauces. Pokè bowls are all the rage right now, and for good reason, they’re darn healthy and bloody delicious. Sweetlips’ version comes with brown rice, edamame beans, pickled ginger, scallions, slaw, pickles, cucumber, wakame salad, black sesame seeds and an Asian-style dressing. So the next time you’re craving poke you know where to go. And if you want a hot and healthy fish and chip shop tip: opt for the grilled spicy fish, brown rice, edamame beans and salad (we love the Green Machine with salad leaves, scallions, cucumber, snow pea sprouts, shaved broccoli, and pepitas)—your insides will feel so good they won’t even notice the handful of chips you steal from your dinner pals or the Delish Ice pop you devour for dessert. It’s all about balance, right?! Editor's note: This article is proudly sponsored by the Sweetlips Fish Bar and endorsed by The Urban List. Thank you for supporting the sponsors who make The Urban List possible. Click here for more information on our editorial policy.